Born: Republic of Venice; date unknown. Died: Turin, circa 1546. Speculated to have been trained in oil painting by either one of two brothers, Gentile or Giovanni, Bellini. Worked in Venice, Cremona, and Turin. Primary subjects: Portraiture featuring highly detailed and true to the period clothing. Bartolomeo Veneto (active 1502–1531) was an Italian painter who worked in Venice, the Veneto (the mainland), and Lombardy. During his time in Venice, he studied under Gentile Bellini. The little information available about Bartolomeo's life has been derived from his signatures, dates, and inscriptions. His best-known works are portraits or pictures with portrait-like character. Bartolomeo's later works, and especially those done on commission in Milan, indicate an influence from the artist Leonardo da Vinci. 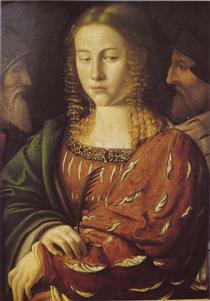 Bartolomeo’s early works consist of small devotional pictures. Bartolomeo changed his subject matter to suit his patrons as the interest in portraiture grew in Venice and the Veneto. His portraits became quite popular and in his later life Bartolomeo obtained many commissions in Northern Italy. 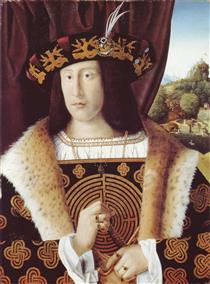 While forty paintings are generally accepted to be by Bartolomeo, only nine bear inscriptions with the artist's name. A fourth of the generally accepted works are devotional paintings, which were painted during his early career. All of his paintings were done on wood (few were later moved to canvas.) He appears to have received no public commissions and the majority of his work consists of portraiture. Bartolomeo’s earliest dated work, Virgin and Child from 1502, bears an interesting signature important to our understanding of the painter’s developing style, "Bartolamio mezo venizian e mezo cremonexe" (“Bartolomeo half-Venetian and half-Cremonese.”) The inscription sheds light on the painter’s citizenship, as well as a reference to his diverse stylistic influence. The Venetian half reflects his knowledge of Bellini. The Cremonese suggests some knowledge of the Cremonese school founded by Giulio Campi. Bartolomeo is very likely to have been "Bartolomeo da Venetia" who the Este court recorded as a craftsman in its service from 1505 to 1507. There, Bartolomeo gilded frames and made carnival decorations along with painting a Virgin with saints. 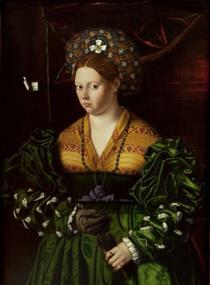 Flora from c. 1515 is currently attributed to Bartolomeo.  The unknown figure is painted with hard edges and a descriptive quality. 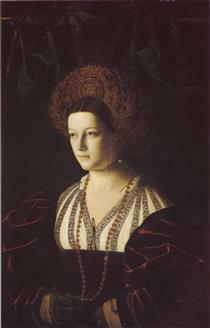 Though the sitter is unknown, she is thought (and perhaps wrongly) to be Lucrezia Borgia. 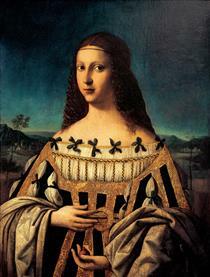 Close to a genre painting, the painting could be a response to similar paintings by Giorgione including the Laura. Bartolomeo placed the figure in front of a black background, a theme that would follow in his later paintings such as Saint Catherine, Salome with the Head of the St. John the Baptist, and Lady playing a Lute. 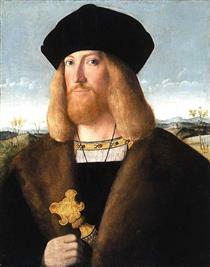 Documents suggest Bartolomeo went to Padua in 1512 and Milan in 1520. Leonardo da Vinci had recently been to Milan, where he transformed the current mundane portraiture into one of intrigue and sfumato. Leonardo's effect is evident in Bartolomeo's developing style when juxtaposing Flora and Lady playing a Lute. Flora's hair is flat and each detailed single strand is painted, much detail is paid to the flowers and jewelry draped across her body. Lady Playing a Lute's figure is more three-dimensional with an emphasis of chiaroscuro. Her hair, rather than individual strands, has some sense of being whole while still being separate. Santa Caterina D´Alessandria Bartolomeo Veneto ? Portrait of a Noble Lady Bartolomeo Veneto ? Portrait of a Noble Man Bartolomeo Veneto ?